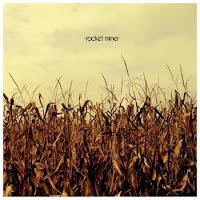 It's rare that you find a debut EP quite so tremendous as Rocket Miner's Songs for an October Sky. Many bands, if breaking into the world with a shorter recording, use the space as a playing ground for the first tentative incarnations of their sound. But not this post-rock ensemble. They aren't out to dabble. They're out to wreck you with marrow-rattling resonance. 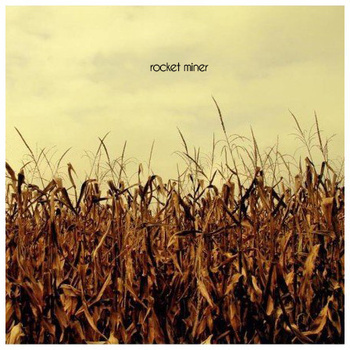 As far as post-rock goes, Rocket Miner's is a distinctly tight breed. We get some Mogwai-like dynamics--you know, the good Mogwai, before they started mucking about with this cheery, synthy, clever business, back when they were too busy pounding you in the ear with riffs the size of monuments. Think "Like Herod" and how it lulls you into a false calm only to blast you out of it as soon as you feel safe. Rocket Miner achieves and retains that edge, that ease of shift. They'll just as soon cradle you in sheets of gentle ambiance as they will tear you apart with monstrous guitar swells. This EP, brief (in post-rock terms) as it may be, simply does not let up. Except for one 47-second interlude--something of an odd break between acts that sounds like an intercepted alien radio signal--October Sky suspends a continuous sense of jaw-grinding urgency. Like early Godspeed, Rocket Miner entertain a military flair. The drums keep a marching tempo on the snare, a sound maybe extracted from our collective memories of dour civil war scenes. But unlike Godspeed of any vintage, Rocket Miner aren't interested in creating enormous avant-garde sweeps. There are no samples, no thickly-spoken bad prose over the opening movements. The record concerns itself only with texture and songcraft--and it breaks ground in both. Every full song on the EP demonstrates a secure command on sound control. Guitars and synths mesh together to paint warm and lonely scenery. October Sky never ceases to be sonically rich, from its ribbed backdrop riffs to its fiery leads. And the melodies inside those textures are often almost unbearably lovely as they alternate between mournful and aggressive modes. If you find yourself missing the adrenaline rush of Young Team-era Mogwai, Songs for an October Sky will do well to fill that void and then some. It's a thoroughly intense journey packed into an EP's length, all rendered with audiophilic attention to tone and detail. The EP is out now on Jacuzzi Suit Records and can be purchased (for a pay-what-you-will deal) from Rocket Miner's Bandcamp.